If you read this site with any regularity, you will already be familiar with my obsession with brow products. I will try just about any brow product, and usually I like it and will review it here. Whatever your style, there is a brow pencil, mascara, wax, or gel that will suit you perfectly. 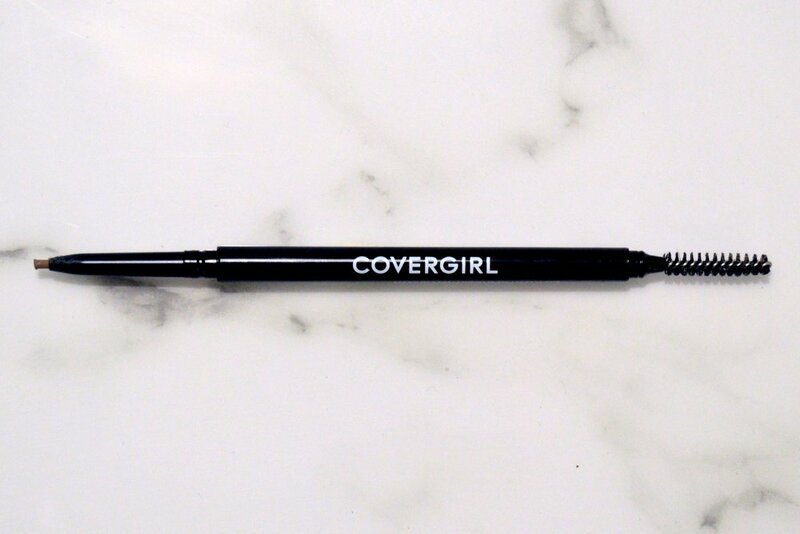 My newest fave brow sprucer is Cover Girl’s Easy Breezy Brow Pencil. Cover Girl recently made their entire catalog of products cruelty free, and I guess also got a packaging makeover as well. This pencil in particular looks CHIC. Super minimal packaging and text makes this look much fancier than a $5 product you can pick up while you’re getting toilet paper at Target. The pencil itself is super small, similar to Anastasia Beverly Hills Brow Whiz. Quick sidebar: I have tried approximately one million brow products but have never bought Brow Whiz, despite it’s cult following. And I think it’s because I used to walk by the Anastasia Beverly Hills store almost every day and it’s… kind of weird? It’s on an odd side street in Beverly Hills and you can’t tell if the store is open or closed and I’ve always found it strange and off putting. And I think that’s why I’ve never tried, or wanted to try, anything from the brand. This is obviously unfair and judgmental, but that’s my truth. ANYWAY, Easy Breezy Brow Pencil seems very, very similar to Brow Whiz AND at a fraction of the cost. It provides a really natural look, and is much faster to apply than I would have thought. This is my first brow product with a teeny tiny little nib and I always assumed they took an eternity to use. Turns out, you can still use my preferred mode of application: Just throw it on with somewhat reckless abandon until you're satisfied. The pencil has a spoolie on the other end, and it’s a much more rigid brush than I’m used to with other spoolies. This is a plus, i think, because it really controls your brow hairs and puts them right where you want ‘em. I use it before applying the pencil to push all my brow hairs upward (thus exposing sparse spots where I want more product) and after to integrate my own brows with the pencil and smooth everything out.